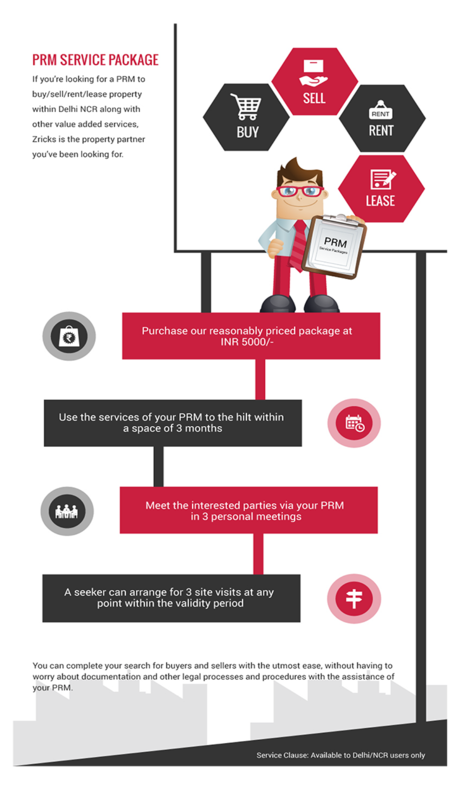 Why liaise with a PRM ? How to get your PRM ? At Zricks, a Property Relationship Manager’s (PRM) services are offered to assist you in your search for the ideal life-space. These realty experts offer end-to-end assistance, right from search to site visits and deal closure to ensure that your unique requirements are fulfilled to a T.Imagine that you need a 5 BHK Penthouse in Gurgaon with a swimming pool, a view of the 9 hole golf course next door and a school within 5 minutes of your home. Or an economic office space for a strength of 20 with all amenities close at hand. How would you go about finding such spaces with such specific requirements? At such times, the advice, assistance and expertise of a PRM is what you need. What does a PRM do? 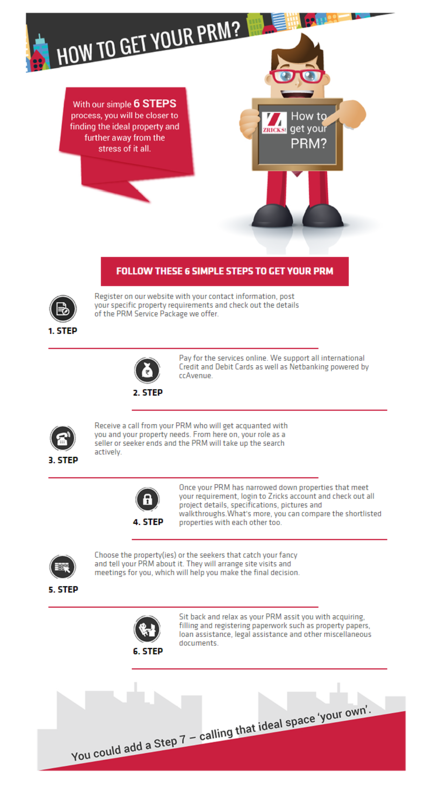 PRM assists you not only when you wish to buy or sell a property, but also when you want to rent / lease it.